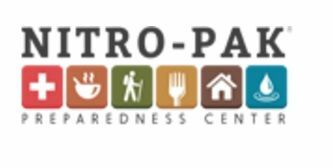 Nitro-Pak Preparedness Center Inc - Nitro-Pak Preparedness Center Inc is your source for long-term food storage and emergency preparedness supplies. Nitro-Pak Preparedness Center Inc is your source for long-term food storage and emergency preparedness supplies. Nitro-Pak Preparedness Center Inc is your source for long-term food storage and emergency preparedness supplies. Our incredible selection of food storage products will help protect you and your family in emergency situations. These long-term food storage units are composed of products from top brands like Mountain House and Backpacker’s Pantry and are available in varying quantities. Choose the food storage supply that best fits your needs in terms of the length of time and quantity of people. Keep your family prepared for any emergency or disaster with our food storage packages.